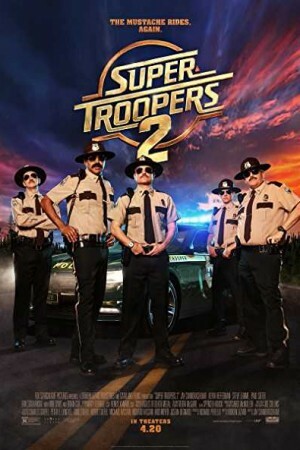 Super Troopers 2 is an upcoming American comedy crime film directed by Jay Chandrasekhar. The American comedy crew ‘Broken Lizards’, consisting of Jay Chandrasekhar, Kevin Heffernan, Steve Lemme, Paul Soter and Erik Stolhanske, reprise their roles as a gang of five silly state troopers who want to do good for their country, but their lack of intellect lands them in embarrassing situations. When an international border dispute arises between U.S. and Canada, they are stationed in the disputed area and entrusted with the task of keeping the situation under control.